Make people to applaud in public! How? 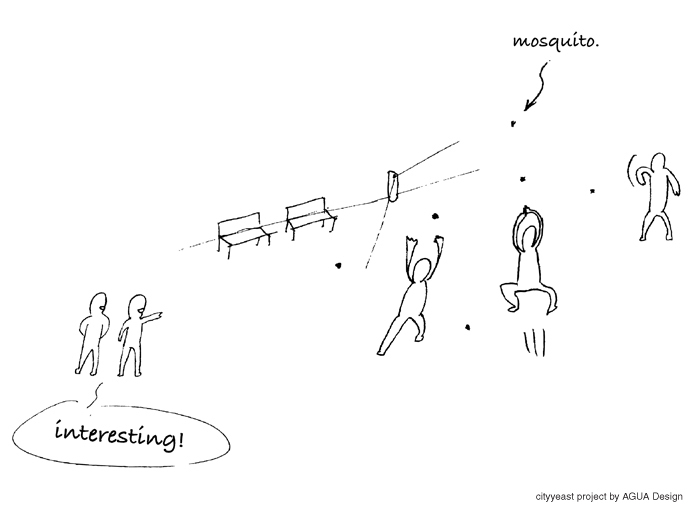 Using 3D projector to create an environment that full of mosquitoes, when people walk into the area, they will try to hit mosquitoes by clapping hands, run and jump, the applaud will bring joy and healthy blood circulation. Everyone is free to dance with mosquitoes. Enjoy it. 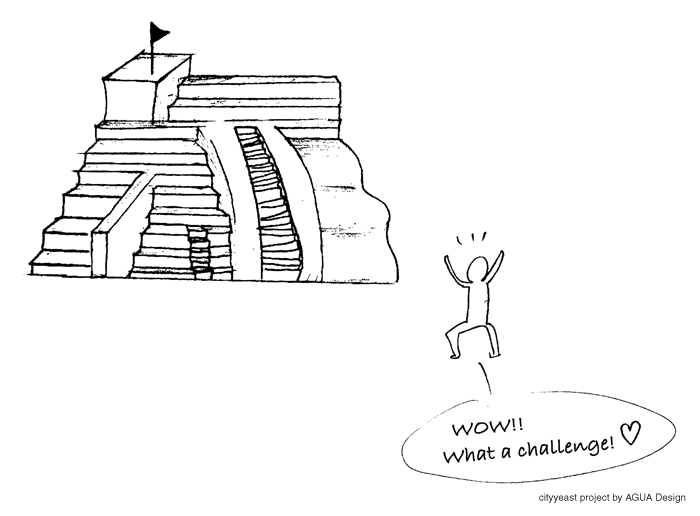 Do you ever think the climbing stairs is an exercise? Actually it is. People in city will now have chance to do more exercise when they walk to every stair/escalator area, they will find out all kind of pro climbing system. So let’s do it for fun and for health. 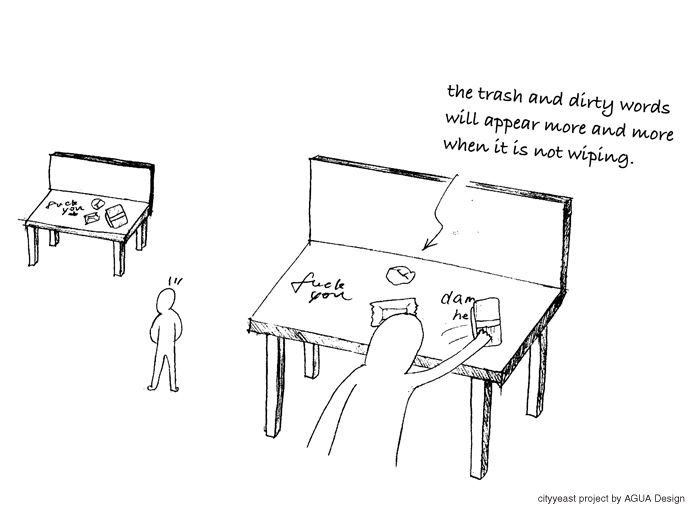 The idea is to make people to wipe the public chairs with fun. It’s the chair with the touch screen function which, the trash and dirty words will appear more and more when it is not wiping. When people wipe the chair, the trash and dirty words will disappear. 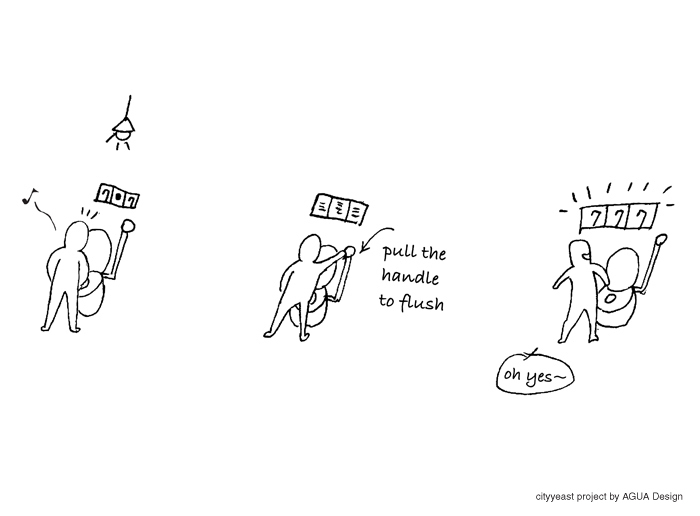 People often forget to flush after using the public toilet, then left bad impression to the next user. Instead of normal flushing handle, it’s a slot machine. When you pull it down, it will start rolling and with the sound of coins falling. And see how luck you are this time.